Plug Connection is a leading source for high quality rooted Poinsettia liners. See Poinsettia Program terms. 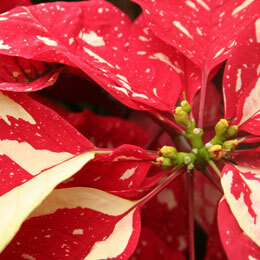 Selecta Poinsettia varieties are listed below. Please contact a Plug Connection broker for pricing and to place an order. Link to the Selecta Poinsettia 2015 Catalog for variety and cultural information. Syngenta Poinsettia varieties are listed below. Please contact a Plug Connection broker for pricing and to place an order. Link to the Syngenta Poinsettia 2015 Catalog for variety and cultural information. Link to the Dummen Red Fox Poinsettia 2015 Catalog and Dummen Ecke Poinsettia 2015 Catalog. Please contact our customer service team at sales@plugconnection.com to learn more about this new program. Plug Connection is a rooting station for Beekenkamp Poinsettia. Link to the Beekenkamp Poinsettia 2015 Catalog for variety and cultural information, and order through Beekenkamp’s broker network listed below—simply select Plug Connection as your rooting station.